Before I even noticed the swarm of flies around the tent and the children, I caught sight of the old Wrigley’s Spearmint box in the lower right of the tent. November 1936. “Children and home of migratory cotton workers. 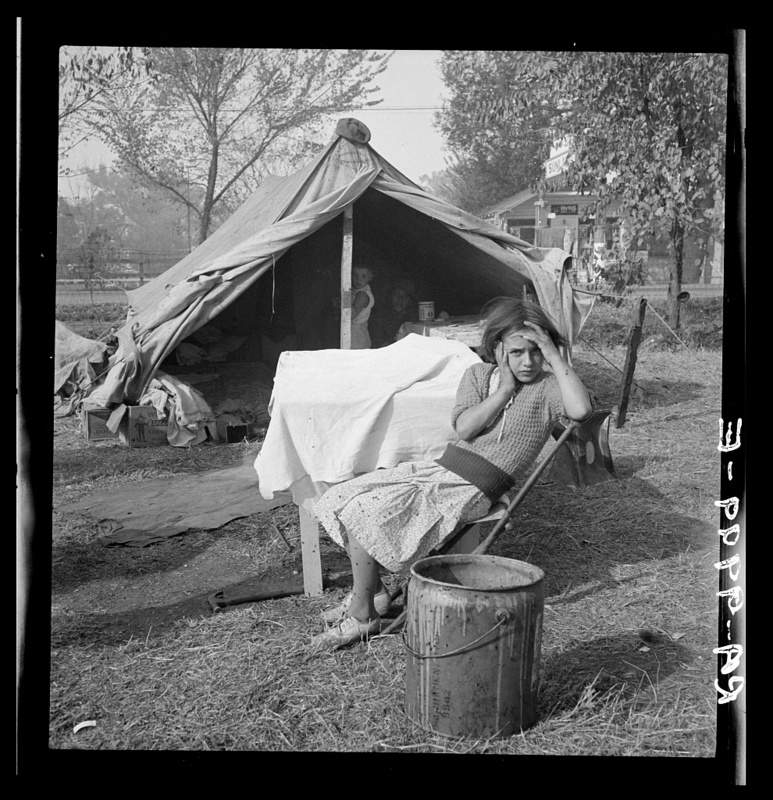 Migratory camp, southern San Joaquin Valley, California.” Medium format nitrate negative by Dorothea Lange for the Farm Security Administration.